Featuring Intel's latest generation of processors, Razer has a new ultralight laptop that packs plenty of processing power. Utilizing the same i7-8550U quad-core CPU that we recently reviewed, the Blade Stealth can provide up to 10 hours of runtime courtesy of a 53.6Wh battery. 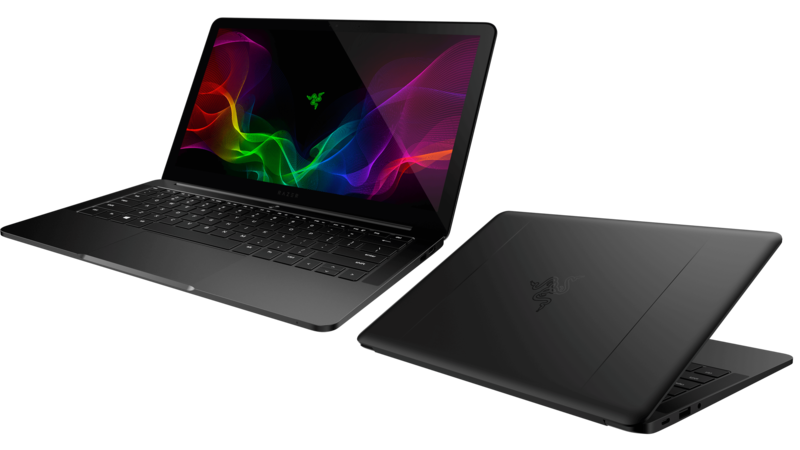 The Razer Blade Stealth arrives with a 13.3-inch, 3,200 x 1,800 touchscreen display capable of covering 100 percent of the sRGB color space. At 276 pixels per inch with high color accuracy, creative users should enjoy the crisp image quality. Weighing in at 2.97 pounds and measuring just 0.54 inches thick, the Blade Stealth certainly meets the criteria for being highly portable. The chassis is milled of aluminum then finished with a black or gunmetal gray finish. The gray edition comes with a white backlit keyboard while the black version has individually lit RGB backlighting. All Blade Stealth configurations include a 512GB M.2 solid state drive and 16GB of 2,133MHz LPDDR3 memory. Two USB 3.0 ports, a Thunderbolt 3 port and an HDMI output can be found on the laptop. Killer Wireless-AC provides support for AC1200 Wi-Fi and Bluetooth 4.1. Although the Blade Stealth only affords integrated graphics, Razer is offering the Core V2 external graphics dock to turn the Blade Stealth into a gaming machine or rendering-capable workstation. The Core V2 is the first external graphics solution that has dual Thunderbolt 3 controllers, preventing peripherals from slowing down the graphics performance. Both Nvidia 10 series and AMD 500 series GPUs with XConnect are supported in addition to Nvidia's professional Quadro series. Extra cooling fans around the enclosure help keep your card of choice performing its best. A 500W power supply within the enclosure should provide enough juice to any graphics card you want to try out although officially, GPUs are limited to 375W of power consumption. Four USB 3.0 ports and a Gigabit Ethernet port are also present on the Core V2. The Razer Blade Stealth is available now from RazerStore.com for $1,699 and can ship to the United States, Canada, France, United Kingdom and Germany. The Core V2 is available in the same countries for $499 and will be shipping soon.